The State of Illinois has issued a new law requiring certain municipalities to consolidate their emergency services (Fire, Police, and 9-1-1 dispatch), and the Village of Addison will be modeled as one of the first consolidation centers and will perform as a showcase for other municipalities. In order to monitor and secure areas and facilities throughout the county, the center needs to have ability to view multiple sites simultaneously, with the ability to quickly identify and react to any spur of the moment threats or situations. The village was adamant the technology be integrated keeping future updates and technological advances in mind. 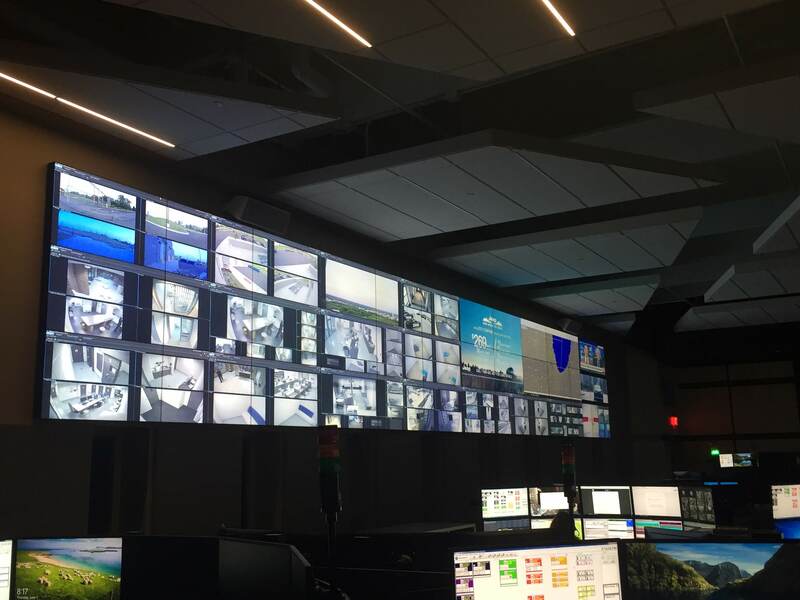 Pace Systems installed a 36 unit video wall running RGB Spectrum and utilizing Milestone VMS that instantly displays anything from security camera feeds of the various jurisdictions and facilities across the surrounding towns to weather, local news, etc. Pace also improved several other rooms within the facility with high-end control systems, audio systems, and monitors. Pace built a state of the art display allowing seamless interaction between the dispatch center and every monitored location in the county. Heading the trailblazing effort in EMS consolidation, the Village of Addison has the model technological center for which other counties will emulate in the near future.